This is the perfect recipe for a cold fall/winter evening. It will make your house smell amazing, it tastes amazing and it's healthy! Plus there is a bonus recipe for roasted pumpkin seeds at the end. 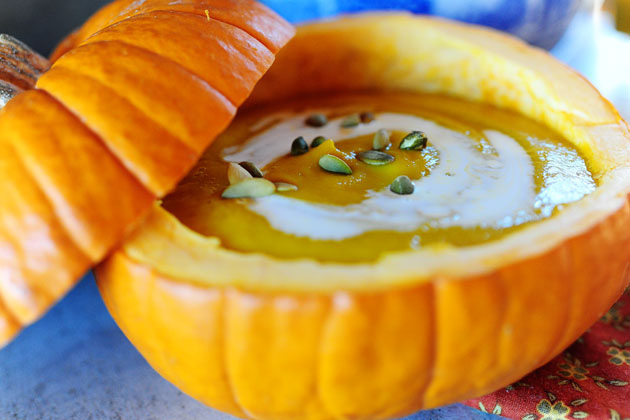 Cut your pumpkin in halves and place it in a baking dish and add an onion with the peal and everything. Season pumpkin with some salt and pepper and a sprinkle of olive oil. Set your oven to 200 degrees C (390 F) and bake for about 20-25 minutes or until soft. Meanwhile cut your potatoes and carrots into smaller pieces, smash your garlic and dice your chili. Prep your vegetable stock, so it's ready when the pumpkin is done baking. After 25 minutes remove the pumpkin and onion from the oven. Scrape the pumpkin meat out of the skin and put it in a pot with some oil. Now peal the onion and add it to the pot. Add garlic, chili, potatoes, carrots and the vegetable stock. Let it simmer until potatoes and carrots are fully cooked (about 15 minutes). Add honey, sour cream and salt/pepper to taste and cook until mixed. Use a hand blender or a normal blender, to blend everything together. Now serve up the soup and your done! 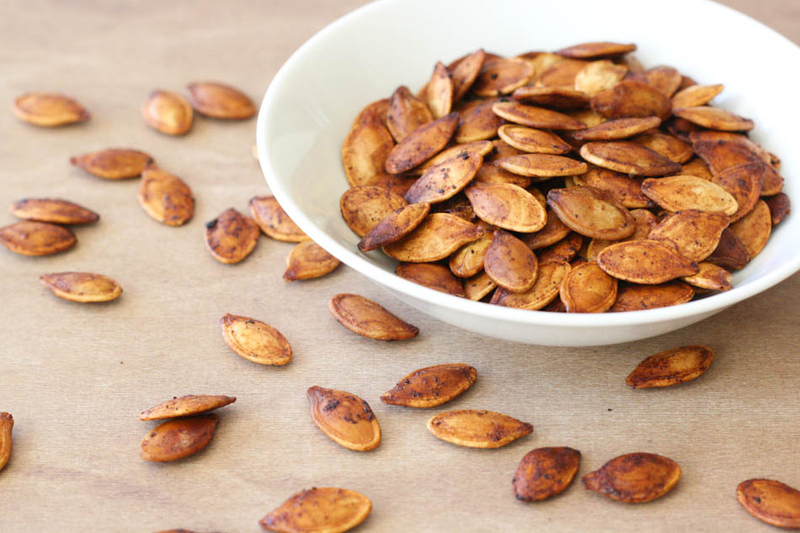 Clean all the pumpkin flesh off the seeds, then run them through water and towel dry. In a bowl mix all of the ingredients until combined. Move the seed mixture to a baking dish, lined with a cookie sheet and bake in the oven on 180 degrees C (350 F) for about 20-30 minutes. Keep an eye on them to make sure they won't burn, and don't be scared if you hear them pop in the oven, that's normal.